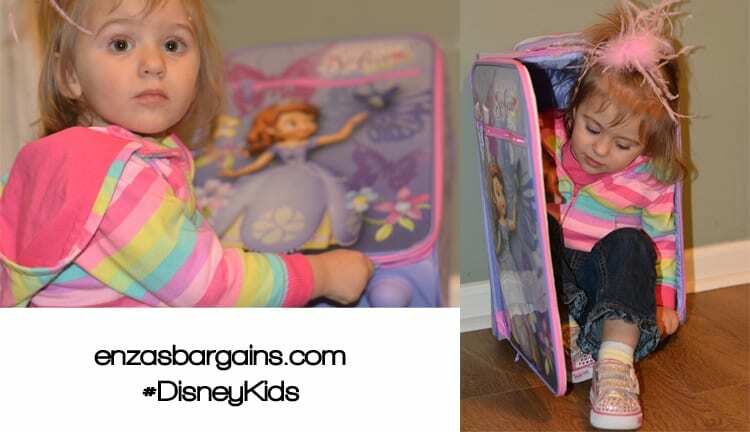 You are here: Home / Bargains / Babies and Kids / Disney World for PreSchooler Tips! – Ages 2-5 in WDW! Disney World for PreSchooler Tips! 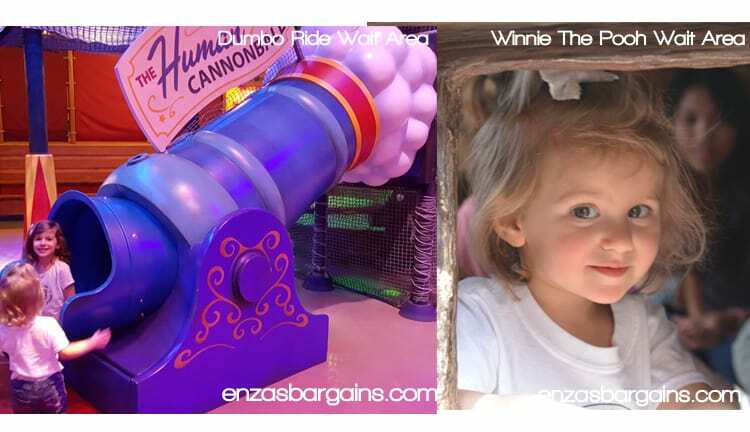 – Ages 2-5 in WDW! Brought to you after our Disney Kids press trip. All experiences and opinions are my own. Disney World for preschoolers! I am so happy to share with all of you that I have taken my kids at all different ages to Disney World. I just recently had the opportunity to take both of my girls (a 2 ½ year old and my 6 ½ year old) to Walt Disney World and the magic was amazing! I wanted to create for all of you the ultimate guide to traveling to Disney World with a preschooler! There are some amazing tips that I have experienced and learned during last weekends trip! I have traveled to Disney with my oldest at every age from 1 through 4! My youngest was only 6 months when I traveled with her (unless you count the time I was 9 weeks pregnant). This trip is going to be the first one that my preschooler would live the magic of meeting Mickey, seeing the castle, and get covered in Pixie Dust after getting her first haircut at Magic Kingdom! Disney World for Preschooler Tips! 1. Know what to pack! Think about the must have items that you would need while on the go in a Disney Park! Although my daughter is 6 years old on morning and afternoon my husband and I had already walked 15,000 steps. Be sure to get yourself a double stroller! Pack a few dollar store ponchos, baby wipes, snacks, and waters! You will then be ready to go! 2. Find the Baby Center in every park! We are close to the potty training age and we were quite nervous about heading to the park. If your kid is potty training close to the entrances of most of the Disney Parks you will find a baby center! I learned that the Baby Centers have foldable kids potty seats to place on the big potty so that they can go. Be sure to encourage them to go potty as you walk into the park to save you a couple of hours before your next potty break. a. Determine which park you will want to attend. Plan out your fast passes on that app. By having a little one with you, if there is a ride that you and the older kid wants to ride…you can let the cast member working the fast pass line for another “switch pass” and they will allow you to switch with the other adult, so that you can experience the ride too! b. After you have planned your fast passes, you can check the app and schedule your character meets. If your budget allows it, I found it MUCH more time efficient to get all your character meets during Disney’s Character dining. Although it might be a tad bit more expensive, being able to take a 45 minute meal and take a picture with the Fab 5 or the Princesses will save you lots of time on your schedule to do more rides and adventures! c. Use the My Disney Experience app to check out wait times on rides! Those times go up and down throughout the day. At any time when you have some time to spend…hit up the experiences with the shortest wait times to make more of your schedule and keep your little one entertained! 4. Even the wait lines are entertaining! Whether you are in Magic Kingdom, Animal Kingdom, Hollywood Studios, or Epcot…all of the long lines have engaging and entertaining play areas for your preschoolers to burn off some energy while waiting the lines! 5. An entertaining night out! If your preschooler is potty trained, there is a brand new area at the Polynesian called Lilo’s Playhouse! I visited it, and it was great! It is a daycare at the Polynesian where kids are entertained with games, events, schedules and more! When I visited they had their own private chef teaching all of the kids how to cook with their own cooking lesson! They sang and danced and every single kid was totally engaged and having a blast! If you are staying at a Disney resort (which I highly recommend), then you can even get daycare and enjoy a grown up night out! 6. Stay at a Disney Resort! When it comes to traveling to Disney, you have some major advantages when you stay on a Disney property! a. One of them EXTRA park hours! This is important because kids usually wake up early and go to bed early! Those extra park hours get you into the park an hour early than everyone else, the lines to the rides are much shorter, and the weather is not as hot in the morning! b. Transportation and Airport Check-in! Did you know that when you stay on a Disney Resort you get transportation to all of the parks every day! Also, you have the ability to sign up for the Magical Express for a bus to take you to and from the airport! You can get early luggage tags that allow your bags to go straight to you room (so you don’t have to haul them around the airport with all your carryon bags) and then when checking out…your can drop your check-in bags with the front desk at the resort! This makes traveling so much easier! c. The magic extends beyond the park! Even while at the resort the magic never ends and you never leave the entertainment and hospitality that the parks have to offer. At our last resort they had art lessons, animator classes, movie nights, and amazing sculptures all over the park. Once you get into your room you see themes and Mickey and hidden Mickey’s everywhere! 7. It is okay to plan a nap! Although I want to try my hardest to get everything into our schedule, it is impossible! Every Disney trip I have ever been on I have had NEW experiences and new adventures and even explored stuff I never knew existed at Disney. 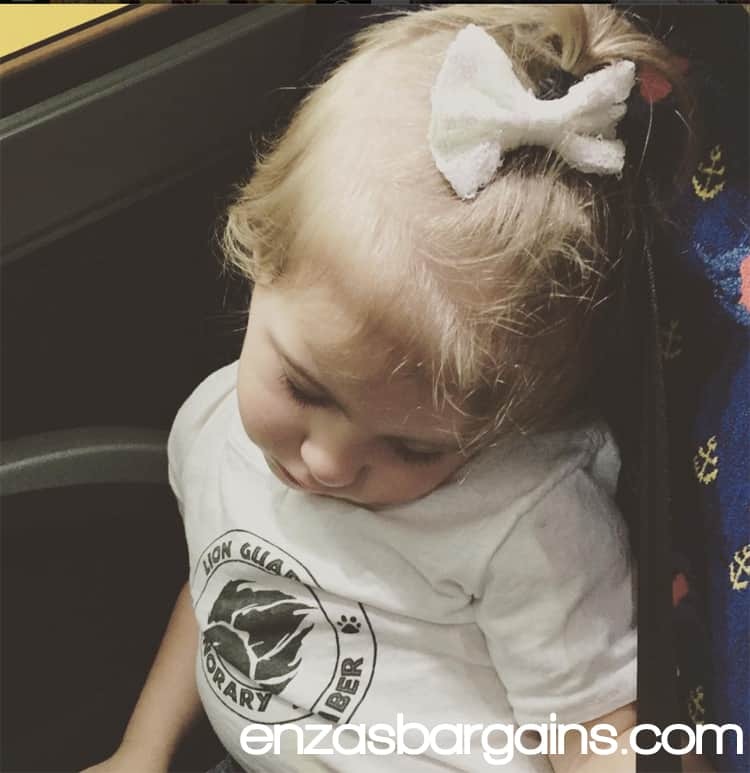 Your kids and preschoolers might need a power nap mid day! If you are working with a park hopper ticket it is great way to cut your day in half and allow the kids for a power nap or even some cool off time in the pool on a hot day! Even the Baby Center I mentioned above will allow your kids to take a quick nap! 8. Remember that there are SEVERAL parks in Walt Disney World! My kids this year were totally into all of the Lion Guard characters at Animal Kingdom! We didn’t hit many rides while we were there but they freaked out to take pictures of all of the characters, loved to dance and sing in the streets, plus were amazed and entertained during the Festival of the Lion King show we watched! Each park has something that entertained both of my kids! Hollywood Studios, Epcot, and even Disney Springs had as much to offer as Magic Kingdom! I wanted to share these tips with all of you because I think that everyone deserves to figure out a way to experience this Disney Magic! I visited Disney for the first time when I was 29 years old and it was amazing! Watching your kids experience this when they still “believe” is such a magical experience! 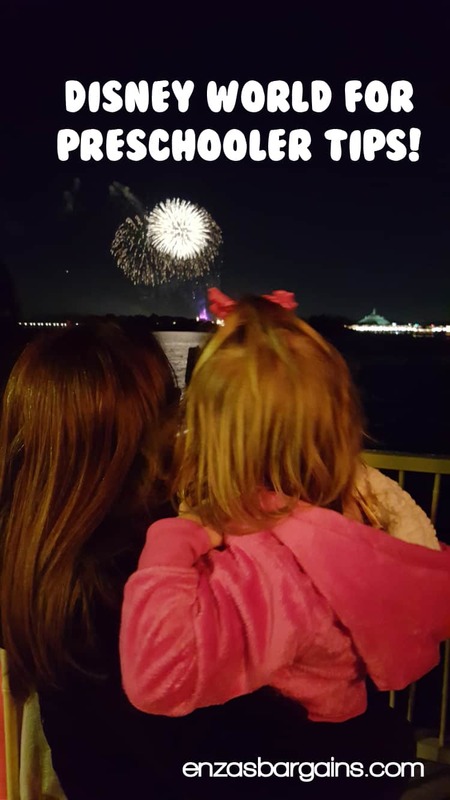 Have a blast planning your Disney World Vacation for your preschooler! Also, check out hubby’s recap from our amazing Disney trip! definitely know what to pack! and make sure that you’ve planned where and when as well! I love the sense of wonder preschoolers at Disney have. Your planning ideas are solid, in my opinion. Best to be prepared. Oh yes I wrote about the difference in staying at an actual Disney resort and it is remarkable. I didn’t know they had potty seats – that’s very cool!! That’s really neat about the baby centers located everywhere. I want to take my girls there so badly just wish it wasn’t so expensive to go there. I hope I can take them soon before they become teenagers. We’ve never been to WDW. I don’t think we will until my kids are much older but these are some great tips! How old are your kids! I love taking my kids at this age! I have even taken them when they were younger. They still believe that the characters are real and not in costume, the magic is real, and we even had some unbelievable experiences like their first haircut! If you wait until they are older,they might miss the age gap for some of the kid rides and play areas that are just AMAZING! Thanks for the tips. i hope to be able to use them some day! Such an useful information that could help me so much when we get to visit Disney World next time around. I think proper scheduling & planning a better package for the travel will make life easy out there. Thank you for tips with my granddaughter this come in really handy my daughter and I are trying to put a trip together EMery just turning three next week.